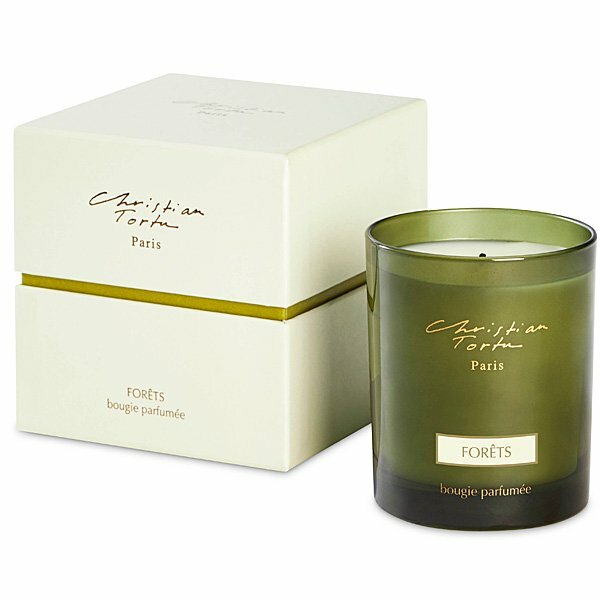 Christian Tortu Forets (Forest) Candle is the mixing of the resin and needles of the pine tree, the cistus of labdanum, the leaves and the wood of the Virginian cedars, tree moss and freshly cut grass. New packaging! Christian Tortu's #1 scent! Christian Tortu Candles are a range of fragrances by a true lover of nature and are inspired by the flower garden, the forest, the orchard and the vegetable garden. Burn a Christian Tortu Forets (Forest) Candle tonight! Made in Paris.